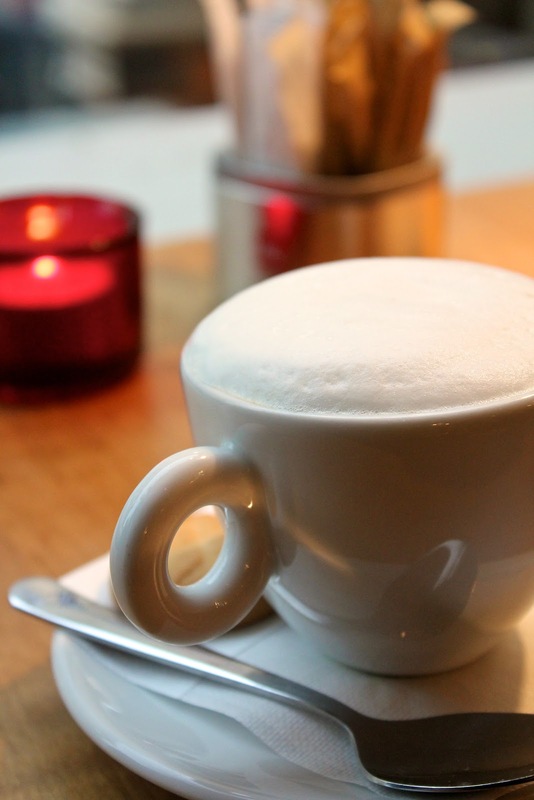 Finding Your Writing Routine - this post caught the attention of a very wide audience this week, thanks to all who tweeted and shared it. 8 Steps to a Writing Routine - Once you've declared it, it's time to plan it. 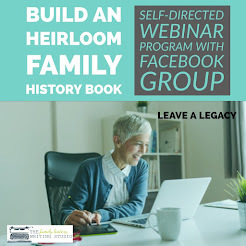 Kathleen Brandt from A3Genealogy wrote a very noteworthy post this week entitled Saving Libraries One Genealogist at a Time. 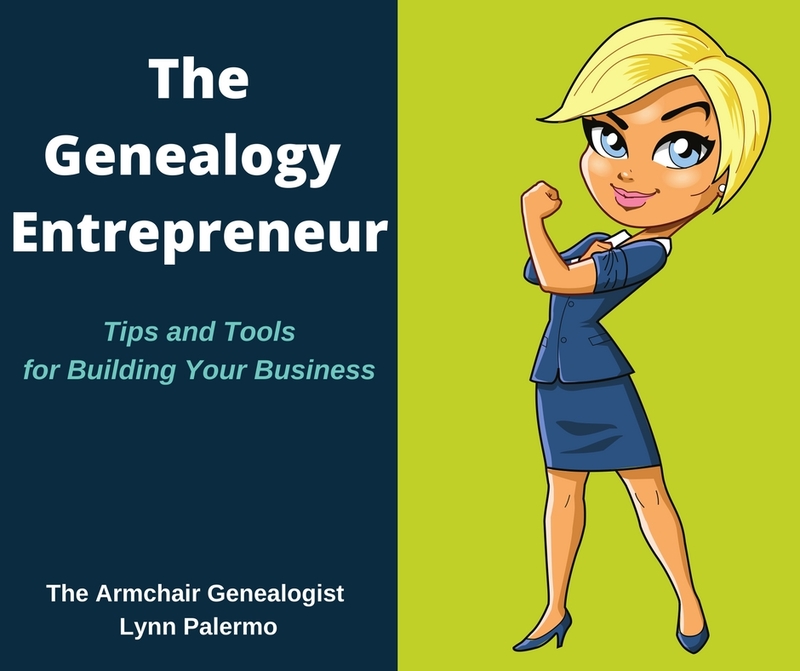 Kathleen sends out a call to libraries to reach out to genealogists as a means of keeping their doors open. Read her list of ideas. Feeding on Kathleen's idea, I would encourage family historians to seek out their local library for all the research options on Kathleen's list. If we create a market need, the libraries will rise to the occasion, I hope! And in keeping with the theme, keeping up with the times here's a fabulous idea. While I've heard of the idea, here's a company putting it into practice, QR Codes for Headstones Keep Dearly Departed Close by Elizabeth Fielder on npr.org. This post is on a non-genealogy site and therefore the comments that ensue are quite interesting, check it out. 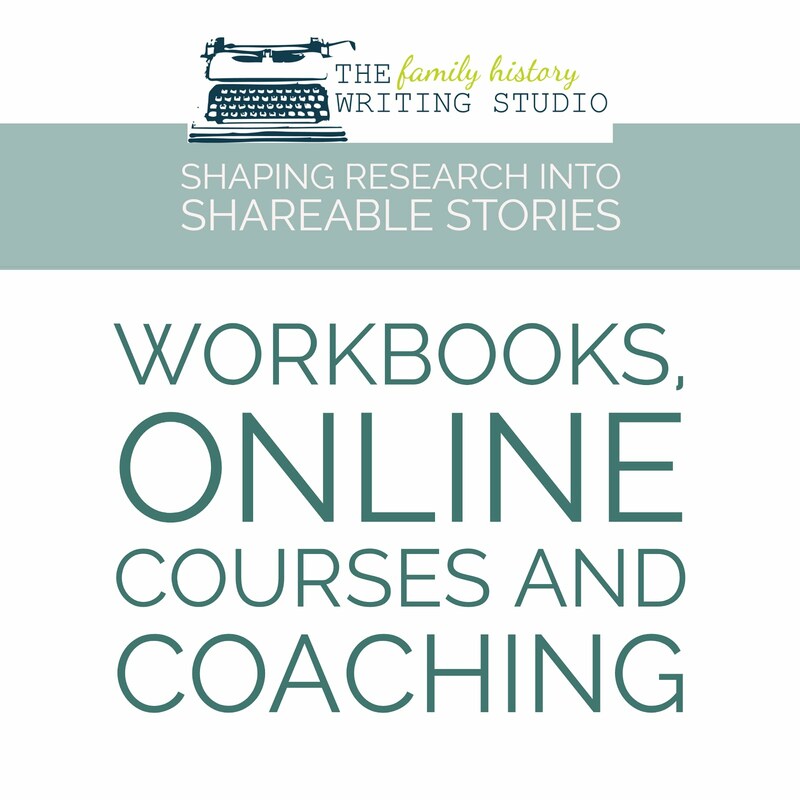 If your thinking about venturing into the blogging waters with your family history 10 Reasons to Blog About Your Ancestors by Terri O'Connell of Finding Our Ancestors should give you just the push you need. And once your in those waters, you'll want to find your blogging voice. 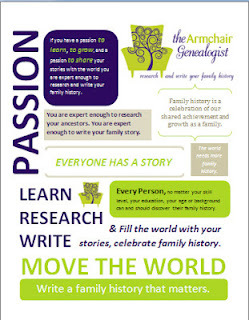 Jacqui Stevens at Family Tapestry shares some insights in this week's post , A Blog Needs A Voice. This is a great read about one woman's journey to becoming an author and her 5 lessons learned. Be sure to read How to Become a Writer by Mary Jaksch of Write to Done. Left me feeling very encouraged. This week one of my writing inspirations that regularly makes it into Monday Morning Mentions is Jeff Goins. This week Jeff wrote a post Why We All Need Journeys. Since I always believed that family history has been a journey for me, this post resonated. I hope it will with you. Oh and did I mention that Jeff dropped by The Armchair Genealogist this week and left a comment. Can't tell you how excited I was that Finding Your Writing Routine caught his attention. Thanks Jeff. I admit it, Instagram is one social media outlet I haven't fully embraced yet. A couple reasons, partially time and mostly I'm not sure how I plan to use it. So when this article came along this week, my interest peaked. Check out Using Instagram for Brands from Social Media Today. Joe Pawlikowski on Famous Bloggers asks, Are You Suffering From a Bloggers No.1 Problem? This post has some wonderful ideas if your blog content is falling flat. This week, I stumbled across a blog I think is fantastic, Freud's Butcher. 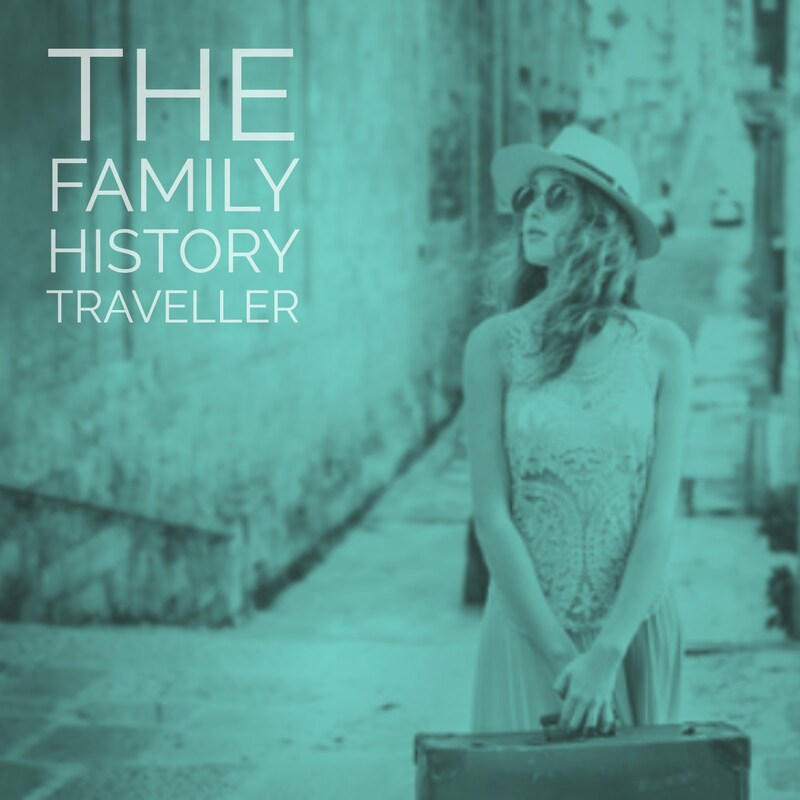 An exciting new genealogy blog by Edie Jarolim, a freelance writer and editor. Edie says her blog is about genealogy, psychology and meat. Interesting huh? Her tagline "Sometimes a sausage is just a sausage but sometimes it's a link to the past." That should peak your interest enough to go check out this blog. Finding Family: My Search for Roots and the Secrets in My DNA by Richard Hill. Just released this August, Finding Family is available in paperback and Kindle. "This highly suspenseful book is a page-turning saga of personal detective work that will appeal to anyone who loves a good mystery. But this isn't fiction. It's an engrossing account of an adoptee trying to reclaim the biological family denied him by sealed birth records. This fascinating quest, including the author's landmark use of DNA testing, takes readers on an exhilarating roller-coaster ride and concludes with a twist that rivals anything Hollywood has to offer." Sounds like one for my reading list how about yours? Hark! That Tombstone is Talking presented by Linda Woodward Gieger hosted by Southern California Genealogical Society, Saturday Oct 6th. FREE. British and Irish Genealogy blog offers lots of goodies, This week brings Genealogy News for Sept 28th. 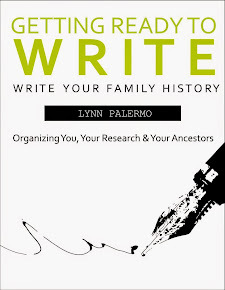 And Jana Last lists some favorites on Follow Friday -- Fab Finds for Sept 28th, 2012 by Jana Last on Jana's Genealogy and Family History Blog.